When we say that we prioritize the safety of our runners - that we feel investing to provide professionally trained medical support for our athletes is critical - people often brush it off, nobody thinks it will apply to them. This crucial behind-the-scenes coordination, and expense, is not one we will compromise to lower registration fees. It is just too important. 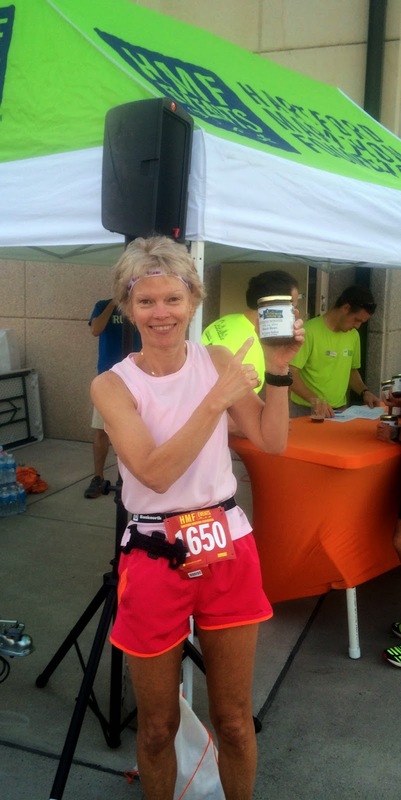 “The race started and I was running according to my plan; hit 8:30 at the mile 1 marker; hit around 17 minutes at the mile 2 marker, high fived running buddies when we crossed paths. Near the end of the race, I picked out a female runner in front of me to pass - which I did. I finished really strong and stomped my feet at the finish on the timing pad, glanced up at the time to see 26:16, which I felt good about. I walked in the chute thinking about meeting up with running buddies for corned beef sandwiches and was reaching for a water bottle, and then everything went white. I woke up in an ambulance with my running clothes getting cut off (and not in a fun “50 Shades of Grey” way), and was violently nauseated and embarrassed about being nauseous. I was totally lucid and, strangely enough, unafraid. I was taken to the Lawrence + Memorial Hospital Emergency Room, and was able to answer all the questions: my name, date, what was I doing, etc. Race Director Beth Shluger also was there, completely calm and stayed until my husband arrived. He was not so calm. My good friends Joanne and Peter Goode also showed up in the ER as my husband had the presence of mind to call them to get my car home from the race. After the hospital spent all afternoon trying to kill me, they decided to keep me overnight. My husband insisted on a CAT scan of the head on the way up to my room. As a result, the physician ran up five flights of stairs quite shaken to announce that I had an active subarachnoid bleed from an undiagnosed aneurysm - did I want to go to Yale or Hartford Hospital? Hartford Hospital was contacted and they sent Lifestar to get me. Being Catholic, and figuring out my day was not going according to plan, I asked for a priest to administer the sacrament of the sick in case I saw St. Peter later that day. I wanted to be reassured that he had my name in the book. The hospital rounded up a minister for me to say a blessing, and my friend Joanne held my hand until Life Star took me away. I arrived at Hartford Hospital Neuroscience/Neurotrauma ICU, where they determined I was stable enough to wait until morning for the surgery so the surgeon and staff would be fresh. In the morning after kissing my husband and son (who had driven down from Boston at 2am), I again tried for a Catholic priest. Hartford Hospital sent me a blonde, dread-locked rabbi who sang a blessing for me to send me off to surgery. Being that Jesus was a good Jewish boy, I figured the Jewish blessing couldn’t hurt. I woke up later Sunday after surgery and was told that the aneurysm had been successfully repaired but I would be in the neuro ICU for at least 14 days. Blood on the brain is extremely toxic to the body, so I had 14 days of very aggressive medical intervention to position me for a successful recovery. For the first two days, the nursing staff woke me up every hour to check me and ask me questions. I received a variety of injections, intravenous medications and oral medications every four hours around the clock for 14 days. I had IV’s in both arms. 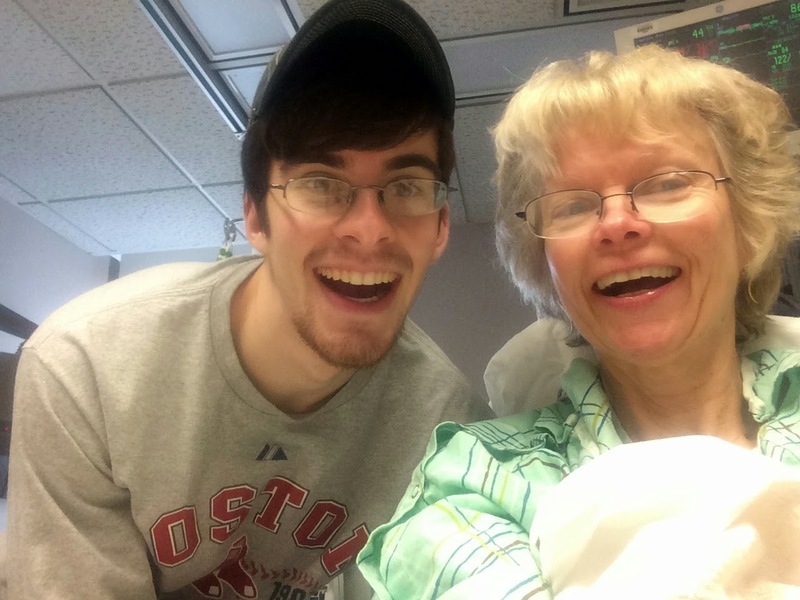 The nursing care in the neuro ICU at Hartford Hospital ranged from excellent to fantastic. All the staff from the registered nurses and therapists to patient care assistants were the most talented, committed professionals I have ever seen. I was discharged March 30th with no restrictions. I was so happy to come home to my own bed, bathroom, and SHOWER! My friend Joanne had a huge “Welcome Home” balloon bouquet tied to my lamppost, and had planted pansies in all my front planters. That first week at home I was very weak and could have chosen to remain an invalid in bed forever and become ‘Poor Sharon”. I chose to live and had a friend drive me to the office the second day to reassure the staff, and my husband, that I would be back. I worked 2 days that first week; a couple more the following week; and was back full time the 3rd week. My friends, families and co-workers sent enough meals over so I didn’t have to make dinner for over a month. I was very weak having lost all my muscle tone from being bed-bound, with IVs going in both arms and oxygen meters on my fingers. I started gaining my strength by walking to the mailbox one day; then from my driveway to a neighbor’s driveway. I did a little more every day until I could walk 3 miles by the end of April. Then I started running a couple of light poles, and could run 3 miles by the end of May. I ran my first race at what else, an HMF event, the Rentschler Airfield 5K on July 17th, and placed second in my age group. I’m alive because I was at a Hartford Marathon Foundation racing event and because of the excellent care I received at Hartford Hospital. That aneurysm was destined to rupture at 10:15 am on March 15th, and going down at an HMF finish line, where there is always a medical team and ambulance on standby, saved my life. I didn’t breathe for 4 minutes, so if this had happened anywhere else I would be dead. And remember how I mentioned that I passed a runner at the finish? That runner was an EMT who went down with me and started providing CPR. So by God’s grace and mercy, I had a life threatening event in a venue where all the lifesaving mechanisms where in place. 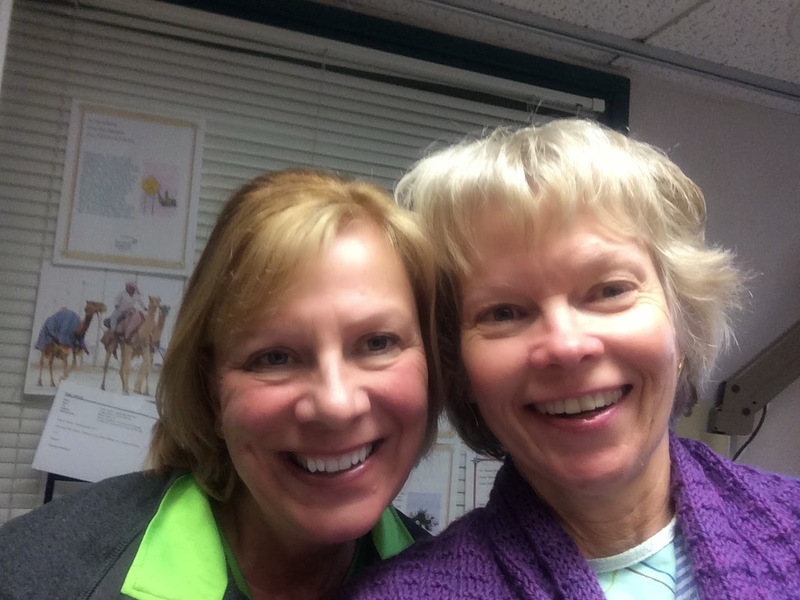 And HMF President Beth Shluger’s presence in the ER was a positive, calming, professional presence that contributed to my survival. I was always a very much in-the-moment person; so I have continued in that and try to remain focused on the present. Every day is a gift to me, and I am profoundly grateful for every day. Time is my most precious commodity. I don’t strain my brain trying to analyze why I survived, but rather am profoundly grateful for every day and choose to make the most out of every day…and run in as many races as time, money and my husband will allow. With the new Mystic Half Marathon (May 31) and the return of the Harvard Pilgrim Middletown Half (April 12), we’re ramping up half marathon offerings to reach more great places across the state. From lush rolling hills to quaint maritime village to downtown city streets, these races show off the best of what running in Connecticut offers. 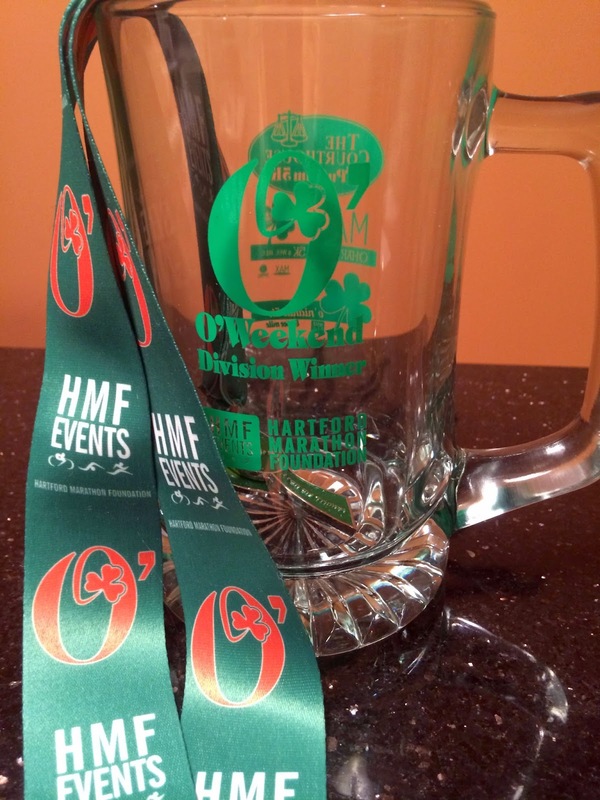 Introducing the HMF Triple Half Challenge of 2015! Register for the program and race these three designated HMF half marathons to earn an exclusive HMF Triple Half Challenge jacket and the official Triple Half finisher’s medal. And, get discounted pricing off the combined entry fees! It’s simple to take part in the HMF Triple Half Challenge – just click the option for the Triple Half program within registration through any one of the participating events. You will be registered for all three events at the same time, save some money and earn your jacket and medal! If you have already registered for one or two of the participating race events, please contact registration@hartfordmarathon.com to add the Challenge to your entries. Please note, you must register for the first event (Harvard Pilgrim Middletown Half Marathon) by April 12 to be eligible for the Triple Half Challenge, there are no substitutes. Your Triple Half finisher medal and official jacket will be waiting for you at the finish line of the NU Hartford Half Marathon on October 10th. We cherish the role of producing the go-to CT marathon for 50-staters, of being a bucket list race for local runners and of hosting many long-time repeat participants whose Hartford Marathon medals highlight their bling collections. 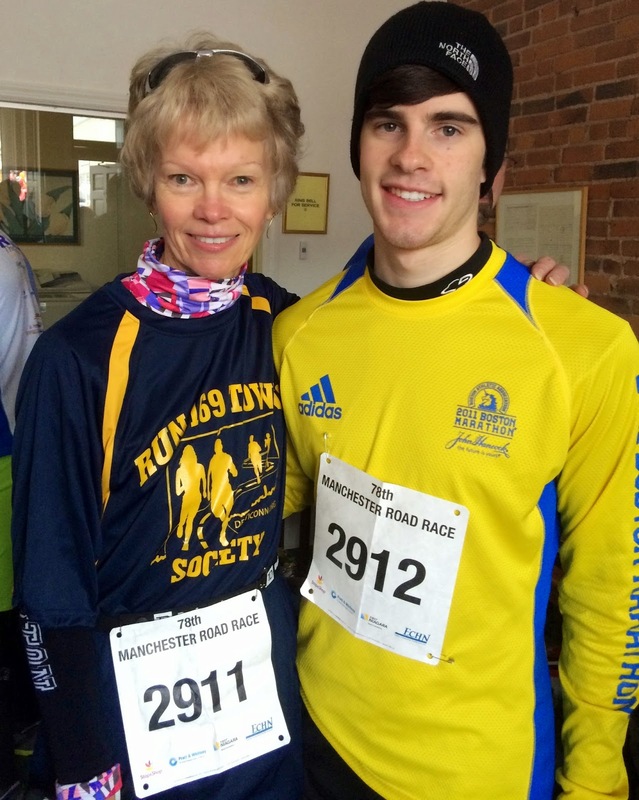 But we also like hitting the road to enjoy New England running outside of our great state! In New England, we can enjoy variety in race venues within relatively short travel times. This year, we’re helping you get there. Together with RunVermont, producers of the People’s United Bank Vermont City Marathon, we are offering the first-ever "New England Double" package. Through this unique partnership announced today, runners can earn the “New England Double” distinction by completing the People’s United Bank Vermont City Marathon on May 24, 2015, and the Eversource Hartford Marathon on October 10, 2015. Those who register and finish all 52.4 miles will receive a special New England Double Medal (in addition to earning event finisher medals) and a finisher’s hat. Participants in the Double will also enjoy race day perks in a designated location at each event. The New England Double program will get you access to both marathons with $10 off each event when you register through the program between February 2-15 (on either event's page). Please note - you MUST register for both events through our respective Web sites (but you will receive a discount code that will waive the entry fees already paid when you register for the second event). 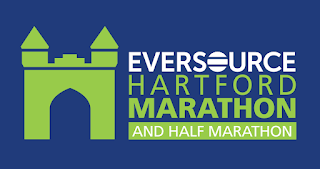 Please contact registration@hartfordmarathon.com or jen@runvermont.org with questions or if you have already registered for either marathon individually but would like to add the other and be included in NE Double. 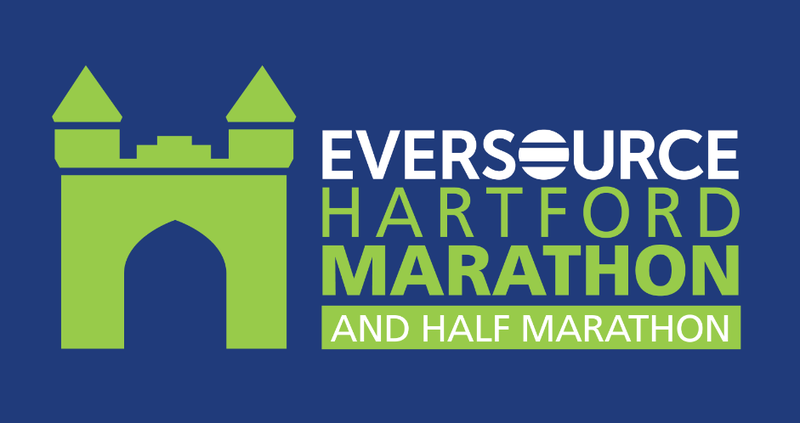 New England Double medals and hats will be available for program participants to pick up in Bushnell Park after they finish the Eversource Hartford Marathon. Register for the package through hartfordmarathon.com or runvcm.org. Participants must register for the Vermont City Marathon before it sells out or by May 10, whichever comes first - don't delay if you want to run the Double!